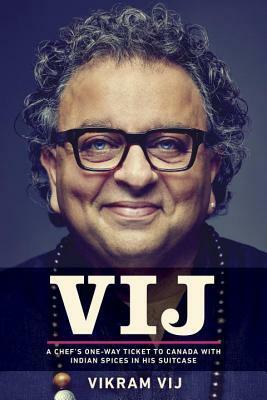 From Goodreads ~ Fragrant with the smells of cumin, turmeric, fennel, and cloves, Vij reveals the story of Vikram Vij, one of Canada’s most celebrated chefs and entrepreneurs. Co-owner of the world-famous Vij’s Restaurant in Vancouver, his story is a true rags-to-riches tale of a college dropout from northern India who made it to Europe’s temples of high cuisine, then with a one-way ticket bound for Canada, found fame serving some of the world’s most transcendent Indian cuisine. Vij’s Restaurant, originally a fourteen-seat establishment known for its extraordinary flavours and spice blends, along with a firm no-reservation policy, received accolades from restaurant critics and patrons alike. A culinary journey that began in India as a boy enjoying the praise of visitors for his chai and biscuits, Vikram’s passion for Indian cooking and his lifelong mission to bring awareness to the culture he left behind have fueled his tireless drive in building a world-renowned food empire. Driven to succeed, Vikram realized his dream to launch five major initiatives under the Vij’s brand by age fifty, but with challenges and sacrifices along the way. For the first time, Vikram opens up about his struggles with prejudice, his mentors’ lasting lessons, and the painful demise of his marriage - both the successes and the failures that have shaped and sharpened one of Canada’s most unique and revered culinary talents. Though I haven't been to any of Vikram's restaurants, I became aware of him from his stint on Dragons' Den. He seems like an interesting guy, I like reading bios and he lives in Canada. Vikram starts his story by telling us about his upbringing in India. He didn't want to go into his father's business so ended up going to hotel management school in Austria. 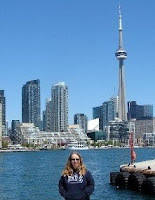 After that, he got a job working in a hotel in Austria where he caught the attention of a Canadian hotelier from Banff. That's what brought him to Canada as a young man and he has been here ever since. His goal was to have five businesses by the time he was fifty and he tells how he was able to do that. It wasn't always easy and it was interesting to read the behind-the-scenes experience of opening restaurants, having the vision but also of going into debt for them. He is honest about his relationships ... with his parents, his ex-wife, Meeru, and his two daughters. As I was reading his story, I could hear Vikram's voice. As a head's up, he swears but I was okay with that. I liked the writing style and found his story interesting. While he admits he has an ego and likes attention, I think he would be fun to hang with. He sounds approachable and uses this style in his restaurant with his guests. I had seen him in the wine line at the Good Food & Drink Festival a couple years ago but assumed he wouldn't want to be bothered. After reading this book, he probably would have been okay with it.